Kubo, a one-eyed Japanese boy, spends his days tending to Sariatu, his ailing mother, and playing a magical shamisen through which he tells the adventures of Hanzo, his long-gone samurai father. When Sariatu is killed by her witchy sisters, Kubo goes on a mystical quest accompanied by a talking monkey (his resurrected mom) and a beetle warrior (his cursed dad). In the process he must face all sorts of dangers, including the nefarious entity known as the Moon King (his grandpa), who wants to strip Kubo of his remaining eye. And you thought your family had issues. Monkey and Kubo, mother and son. 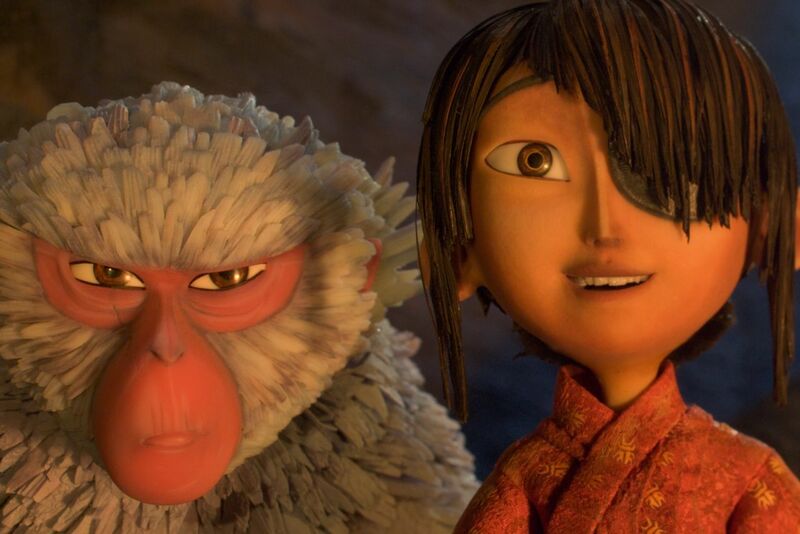 The spectre of loss hovers over Kubo and the Two Strings – the astounding fourth effort from animation studio Laika – like a soft mist, and it is precisely that tone of melancholy which sets it apart. The film is a marvel to behold, taking stop-motion to dizzying new heights. 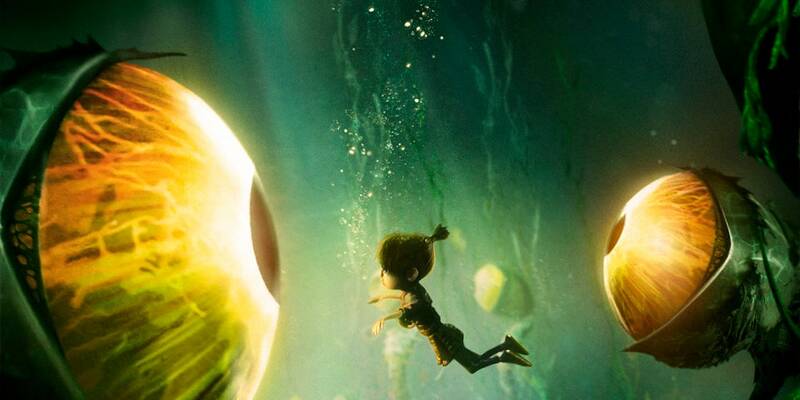 From a fight with a giant skeleton to a sea of hypnotic eyeballs, Laika is really upping the game, surpassing even their own Coraline (2009) and ParaNorman (2012). But technical prowess is irrelevant without something equally interesting to say, and Kubo and the Two Strings has no shortage of complex themes: Myth, storytelling, family, Eastern lore and a deep understanding of music’s transcendent power to help us make sense of the world. As I watched Kubo and the Two Strings with my wife and four-year-old son, my thoughts kept going to the ones I had lost and the idea of how memory can keep the spirit of your loved ones alive. In the final moments, Kubo stands next to the spirits of his parents, gone but still guiding and comforting their son… and I wondered how my own boy would carry on if my wife or I were to prematurely depart. I sure hope no one saw me crying. Much like Inside Out (2015), Kubo and the Two Strings is a movie about life and how happiness and sadness exist together in one rather beautiful whole. The bar has been raised. Ball’s in your court, Pixar.